Each year we plan the breedings of which mare to which stallion and eagerly wait about 341 days for the result to arrive. 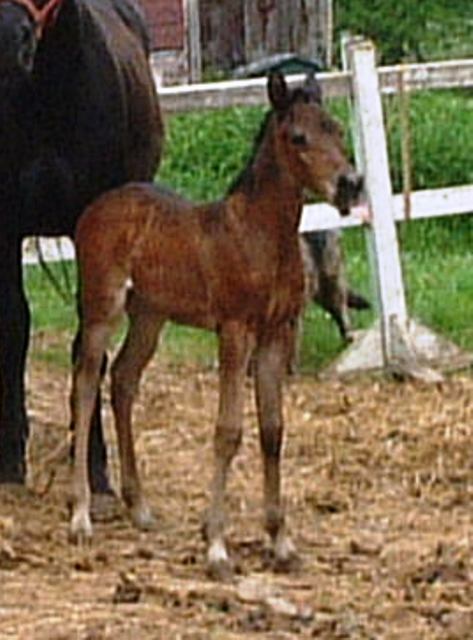 The sire is a Regional winner in Halter, Show Hack and Country, the dam a top notch Hunter Pleasure mare that can really move - the foal? Talented! 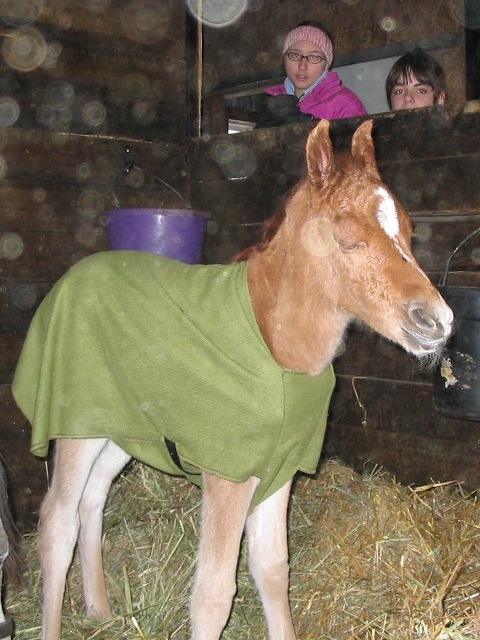 Arrived safe and sound and just a few days early, Walker AES is a super personable colt. He is very upright with large eyes and correct legs. Nice and compact, smooth bodied and already mostly unfolded at 6 days old. 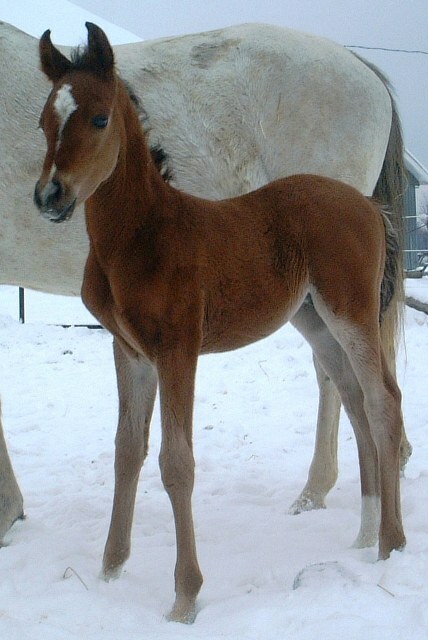 He is offered for sale until 6 months of age at $1500 - a super special deal! 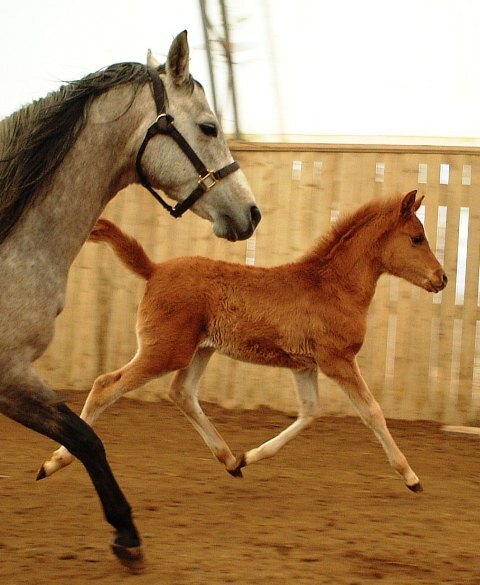 This foal is a first for Zacoban Arabians from the great breeding program of Magness Arabians in Colorado. 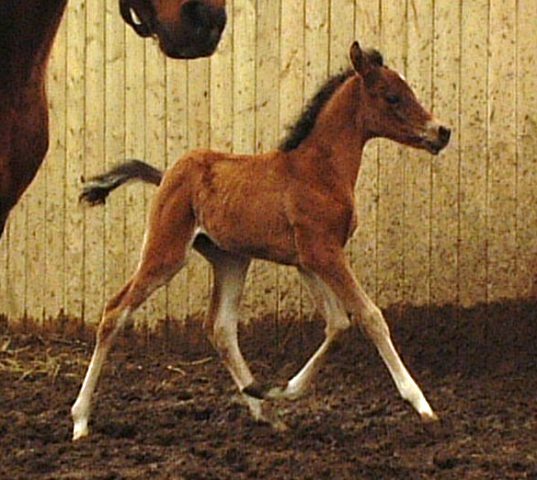 The foal will have two lines to Polish & World Champion Stallion, *Gondolier as well as *Bandos, Palas three times and *Aladdinn. 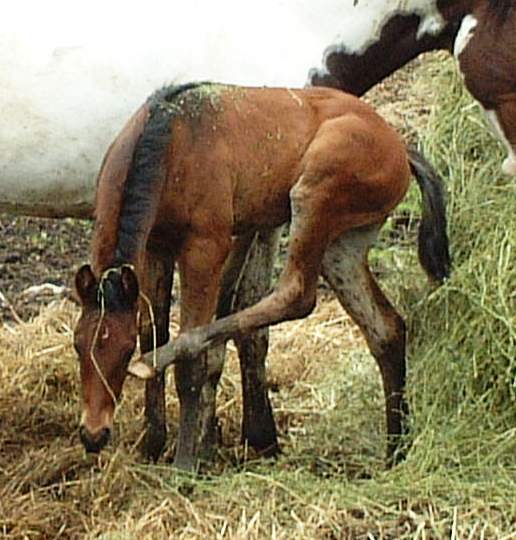 A solid and true cross, this foal is exceptional. Gondoliero added leg and shortened up Emenem somewhat. 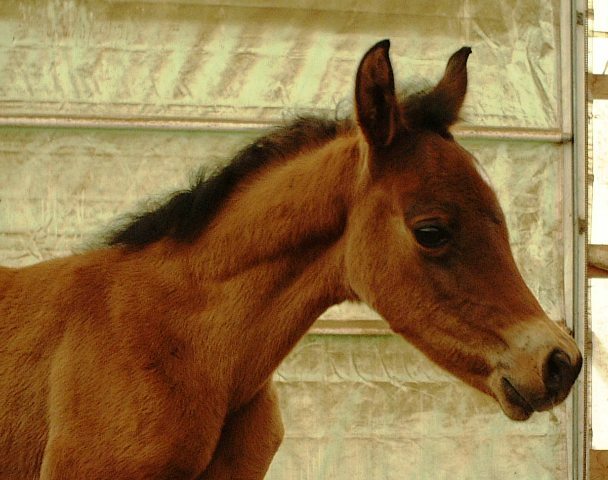 The filly has a beautiful short head, tiny ears and a teacup muzzle. 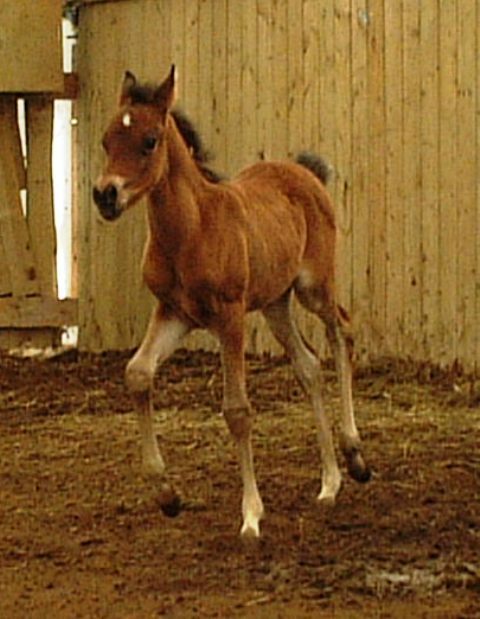 She is affectionate and can trot amazingly well with flipped up tail. 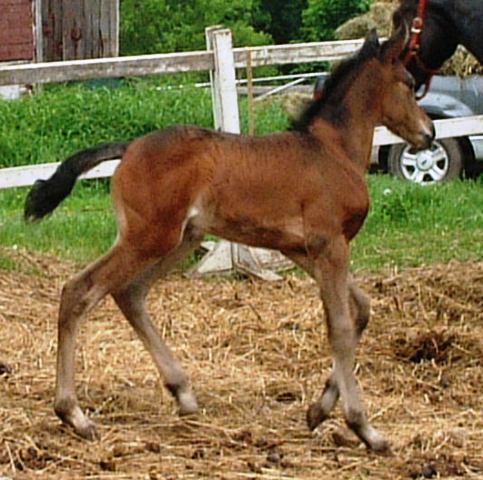 A very very lovely filly. 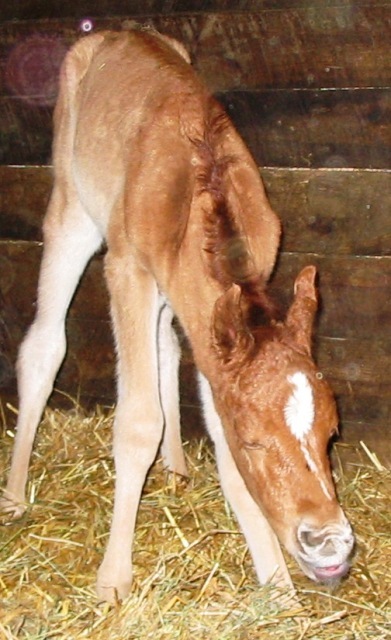 Finally a FILLY. 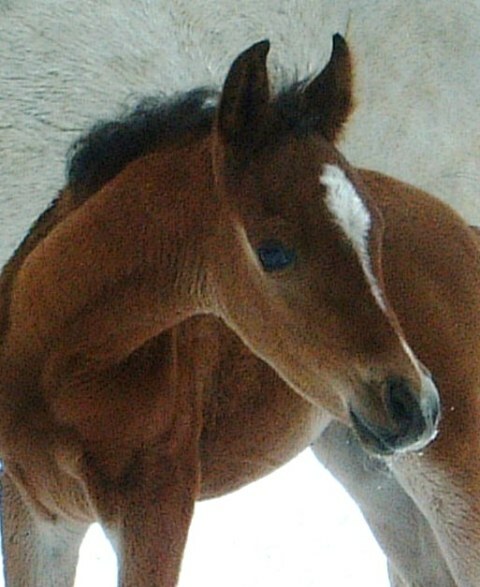 Rose has presented us with 4 stunning colts and has not disappointed us with this lovely girl. 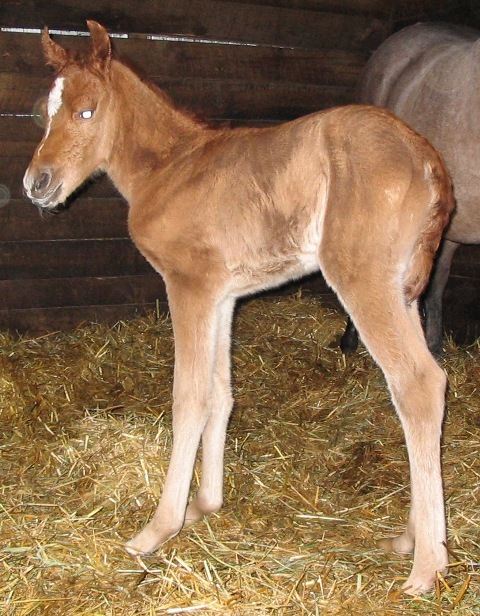 She will be dark bay like mom, no white socks and just a tiny star. Very feminine and typy, we can't wait for her to unfold. Sadly deceased way too young. 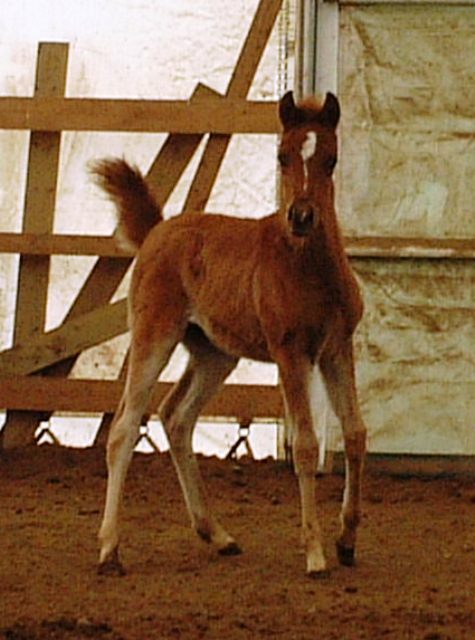 Pokey is Baileys HA pony mare that she has let her grandmother breed to Charlie for a 4-H foal which will be donated to the 2005 overall top Stormont Horse 4-H girl, Marianne Moore. 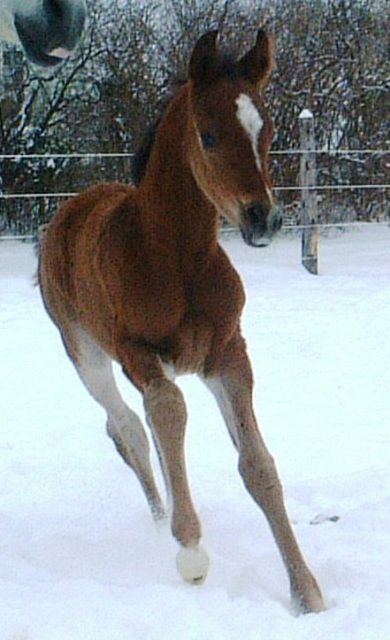 A lovely chestnut gelding, very typy, long legs and a real sweetie. 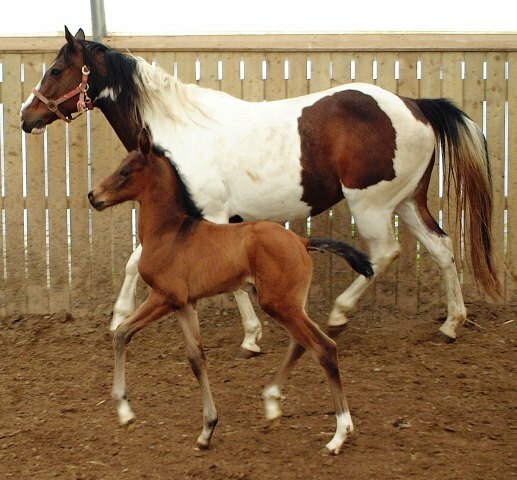 Siera has given us some knockout HA geldings, 2 tobiano pintos and a solid bay and is also the dam of the pinto filly, Saphire, by Hennessy. 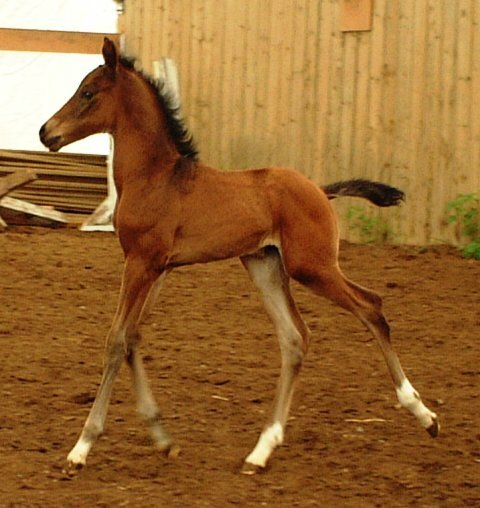 All are tall leggy, smart and fun, this one should be too! 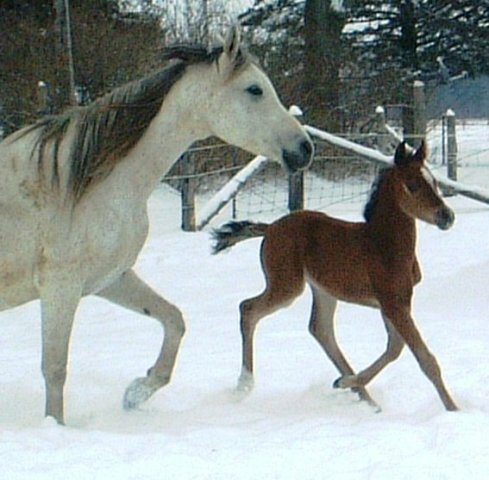 Siera couldn't wait to be brought in at supper time and had a lovely colt outside on a beautiful warm day. 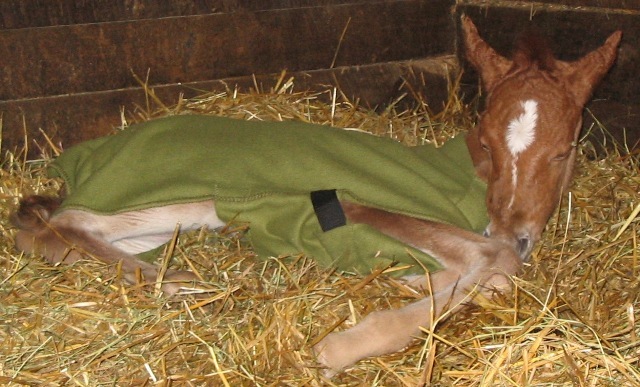 After he was up, then came in to a nice warm clean stall for the rest of the night. 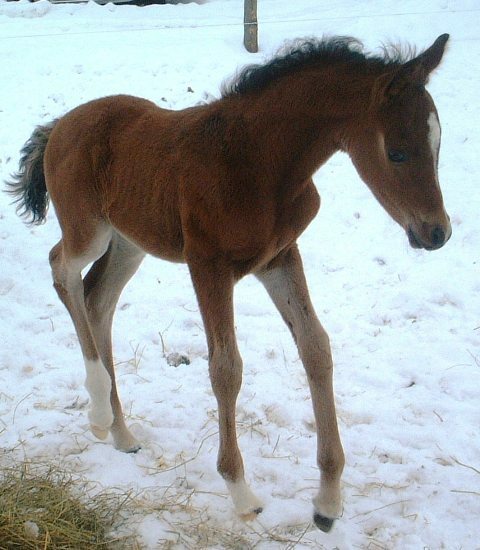 This boy will be gelded and is very tall too. 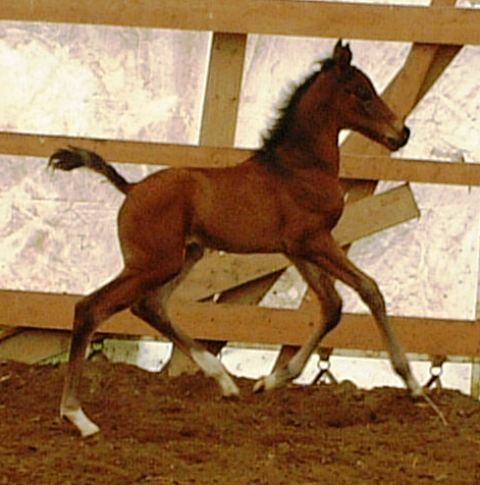 Looks like he will be dark bay with 3 white socks and a tiny star. They sell real quick, so if you are interested - let us know. 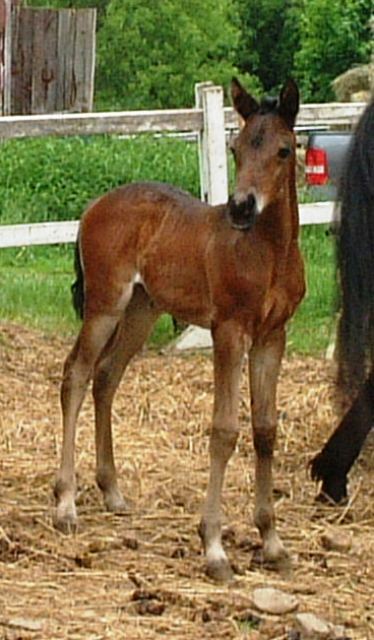 A first time cross for Maplelane, the Arab/Standardbred cross is a proven endurance mount. 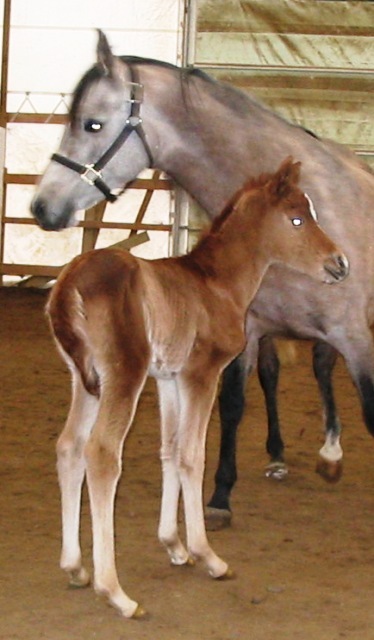 Andy is producing top purebred CTR mounts in Chiante Dawn and Cerr Andy and we are eager to see what he and this nifty black trotting mare can do. 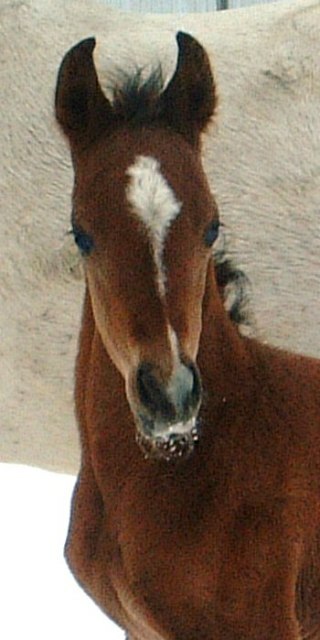 Fletch is a fantastic first foal for Image. 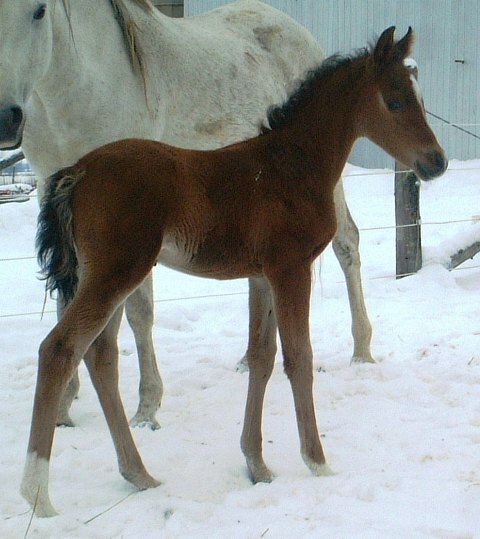 We are very pleased with this typy, leggy, sharp looking boy and bred more mares to Image this year. 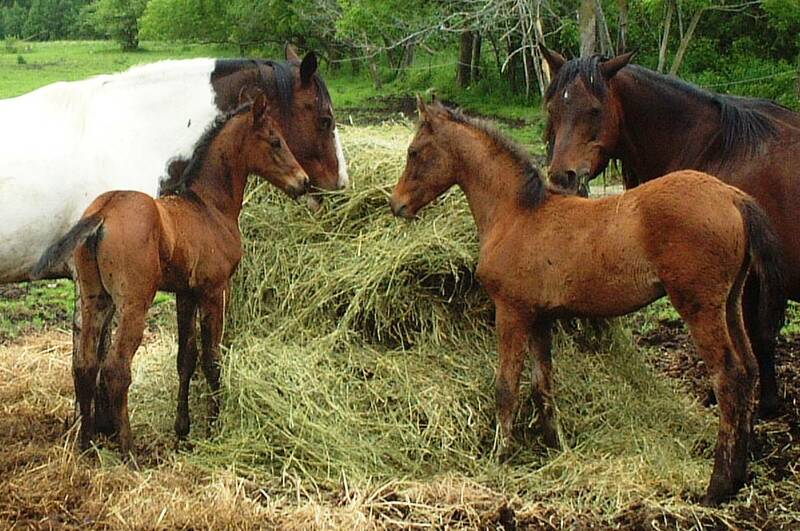 Korome's foals with Image's sire, Charlie, are top notch sport horses. They are over 15 hands, leggy and talented. 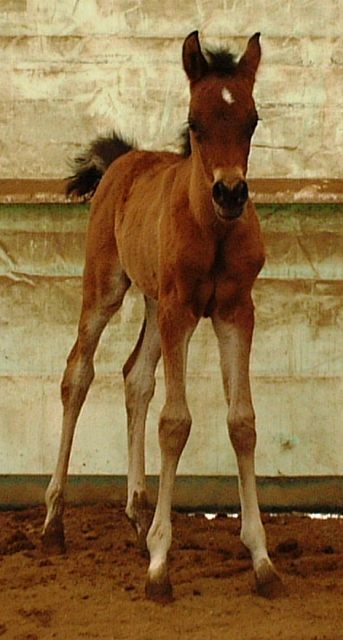 We have chosen Korome for Image's first foal in order to compare with what his father has produced with her. It will give us a really good idea of what he can get on the ground.